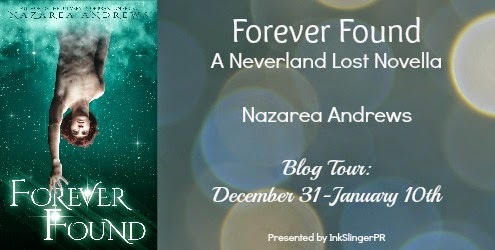 A Life Bound By Books: Blog Tour Review - Forever Found (Neverland Lost, #2) By: Nazarea Andrews + A GIVEAWAY!!! 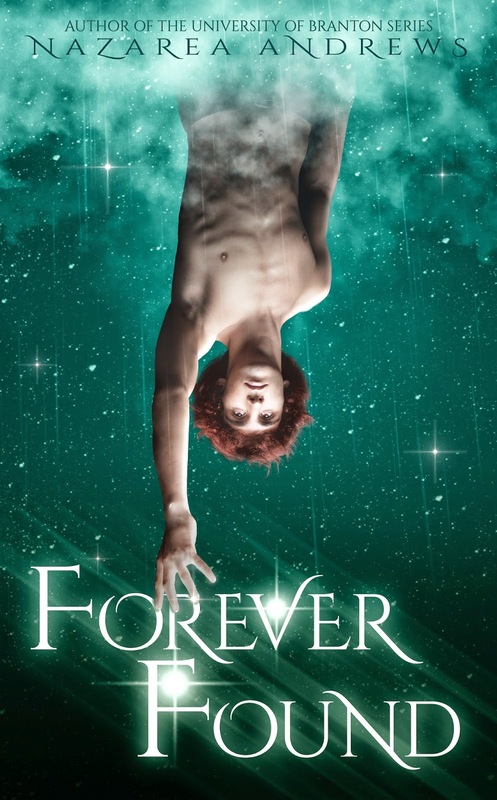 Blog Tour Review - Forever Found (Neverland Lost, #2) By: Nazarea Andrews + A GIVEAWAY!!! Synopsis: Losing Gwen was one of the hardest things I've ever had to survive. I've never loved anyone the way I love her. But finding her was never about that. And now that I have found her--now that she knows the truth about me and the Island, I have to trust her to believe. Because her leaving me didn't just destroy me--its killing Neverland. I need her to love me. But we all need her to believe again. Review: 4.5 Stars - Forever Found is the novella follow up to author Nazarea Andrews Peter Pan retelling, Girl Lost. The novella picks up after the end of Girl Lost and is told from Peter’s point of view as he’s desperately trying to get through to Gwen before he loses everything he’s ever known. Nazarea’s retelling of this classic is done extremely well. I fell in love with her characters and with what happens – in her version – should Peter, Tink and the Lost Boys ever leave the island. I loved and I mean LOVED Girl Lost and asked for more and was ecstatic when Nazarea told readers she had a bit more to Peter and Gwen’s story to tell. I’m a huge fan of this author and knew her writing would be pretty much spot on and it was… yet you’re questioning why I’ve only given it 4.5 stars? Well, the short answer is that part of the book was a bit confusing and rushed. I’m not sure if this was due to the fact that I was reading an eARC , but it did cause me to be slightly removed from the story a couple of times over. Where it felt rushed or confusing would have been a great jumping point to writing a novella a tad longer, however what’s here does without a doubt give readers more closure so the length isn’t actually a huge issue. Speaking of the ending – Andrews took something that was already filled with magic and that ending made it even more so. I couldn’t stop smiling and was happy to have been on this journey with her characters. These two books are pretty perfect for slightly older readers who enjoy retellings and twists that make the characters part of the classics we know and love mixed with pieces of new – making these characters fresh yet not too far away from their original voices. If you haven’t read these two you have no idea what you’re missing. They do need to be read in order for readers to get the best understanding of the characters and their story, so be sure to start with Girl Lost. Enjoy! 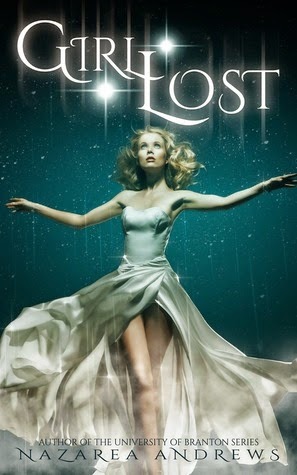 Check out my review of Girl Lost!! !